Have you come across business owners urgently looking for business financing but are unsuccessful in their attempts to get from banks or other sources? You can be a lifeline by referring them through Funding Societies’ SME Referral Programme. Besides providing the SME with an alternative avenue for financing, you also stand to earn a referral fee of up to 0.2% on the loan amount disbursed. For example, if an SME takes up a loan of S$500,000, you stand to earn up to $1,000 in referral fees. Here is all you need to know to get your first referral. What business financing solutions do Funding Societies offer? After the initial lump sum loan disbursement, the SME will follow a pre-agreed repayment schedule and repays the loan in equal monthly installments. Installments comprise both Principal and Interest components, similar to repayments for a car or housing loan. Unlike a car or housing loans, BTLs provided by Funding Societies are usually unsecured in nature, and SMEs can obtain their funds as quickly as 5 days. A personal guarantee is required by the directors / major shareholders. What is a BTL useful for? A BTL is useful for SMEs that are looking to expand their business without using their existing cash. It can also be used to stock up inventory in anticipation of upcoming seasonal sales. How to identify SMEs that would benefit from a BTL? Project financing for milestone based companies such as those in the construction industry as they have to buy materials, build, certify progress and bill main contractors for milestone payments. Invoice financing is a product by Funding Societies that enables SMEs to convert its accounts receivable into cash by assigning its invoices. Firstly, the SME will assign its invoices it wants to discount to Funding Societies. Next, Funding Societies will advance up to 80% of the invoice value in cash to the SME. Lastly, when the SME’s customer settles the invoices and pays Funding Societies, Funding Societies will transfer the remaining 20% of the invoice value (less fees) to the SME. At Funding Societies, our invoice financing solution pro-rates interest on a daily basis. By pro-rating interest, SMEs can save interest payment by repaying early. This is unlike invoice financing solutions offered by other financial institutions, where interest rates are fixed to the invoice amount and loan tenure, and will not differ even if your clients settle the invoices early. What is Invoice Financing useful for? It is useful for SMEs that face lengthy collection periods from their customers as they can get cash much quicker with Invoice Financing. The cash can then be used to roll into the business to generate more sales and pay overheads. Which SMEs qualify for a loan with Funding Societies? 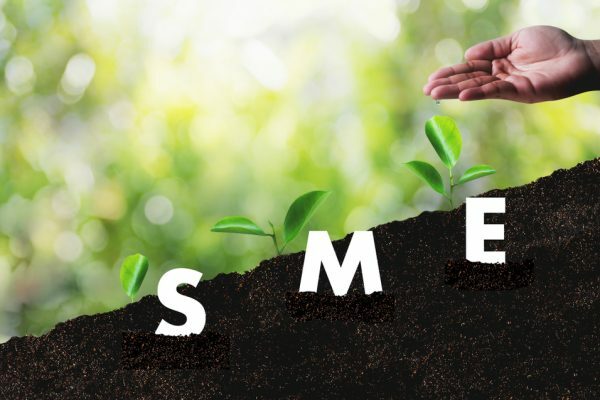 The SME referred must be a business entity registered in Singapore with at least 30% of the shareholders being Singaporeans or Singapore Permanent Residents. Sole proprietorships and Partnerships are also eligible for financing but the maximum loan quantum may be subjected to prevailing regulations. How do I refer an SME to Funding Societies? Know an SME that requires financing urgently? Refer an SME today or join our SME Referral Program to stay abreast of our new products and tips on getting your first referral.